With Russia on the march again, Europe is naturally concerned with the low probability-high impact potential of a Russian inspired cut-off of its natural gas deliveries, particularly at this point in time with the crises in the Crimea and Ukraine which serves as Europe’s most pivotal and important gas transit country for Russian Federation gas. There are of course multitudes of other disruptive gas scenarios that could impact still sluggish European economies and hold them back from a more robust economic recovery. On the other hand, European gas inspired fear on a collective basis may be a bit over-blown for a number of reasons. 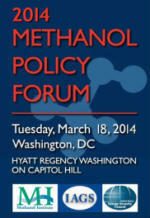 First, with natural gas markets becoming increasingly liquid due to the decrease in US natural gas imports, thanks to its own efforts in spawning a domestic shale gas revolution which in turn frees up LNG which can be redirected to other markets where it is needed, the global market for gas is changing. The winter in Europe was a mild one and gas supplies are robust due in part to slow growth, competition from coal, and the shuttering of gas fired power plants as a result. All of this however speaks only to one side of the supply equation and doesn’t address the role of Russian gas in European markets. Gas transportation is a different matter. The fact is that the vast majority of natural gas is transported through pipelines rather than by LNG vessels. Over 50% of European gas imports alone come through Ukraine. Secondly, while there is pronounced dependence on Russian supply across the Baltics, Slovakia and (again) particularly Ukraine, overall EU dependency on Russian imports runs at about 30% which while high is still lower than what the prevailing public perception may suggest. Yet multiple scenarios remain, that if played out could, and will cause havoc in European gas markets if nothing more is done to improve Europe’s gas dilemma . This is precisely what researchers have been studying with an eye towards mitigating the downstream effects of supply disruptions through cost effective mechanisms particularly in the gas transport sector. As mentioned in the lead into this article researchers at the University of Cambridge in the UK, joined by experts at the EU Joint Research Centre’s Institute for the Protection and Security of the Citizen, and EZH (Swiss Federal Institute of Technology in Zurich), among others have developed a mathematically based model that depicts how European states can help mitigate potential supply disruptions. Among other things, what this group has done was to develop an algorithm that in some ways mimics how information flows through the internet in decentralized fashion by way of following the path of least resistance. 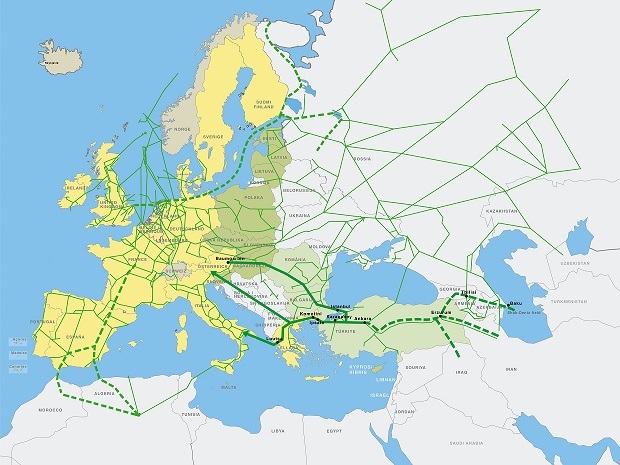 The idea is that by using Europe’s existent natural gas network, increasingly interconnected which is all to the credit of the European Union, and market mechanisms, which puts a strain on prices when demand is high, gas can be redirected through less costly and congested pipeline networks. However “The pipeline network is not designed to handle this scenario” says Dirk Helbing, ETH Professor of Sociology in Zurich who also contributed to the study. If countries suddenly procure their natural gas through other avenues, this leads to bottlenecks in these pipelines. For clarification purposes, when Helbing speaks to the design of European pipeline throughput he is talking specifically about the input of large volumes of LNG that, while infrastructure is improving, remains constrained by the inability to inject large volumes of re-gasified LNG through capacity limited corridors leading to inevitable bottlenecks in the system. 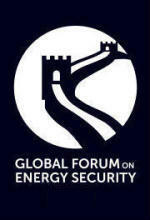 According to a press release provided by Dr. Carvalho to the Journal of Energy Security European natural gas security can be enhanced through what one may call a fairness-mechanism. In short, if European nations provided shared access to their own national energy markets, at least in times of crisis, some of the pain associated with a cut-off in supply could be dampened, “by minimizing network congestion in a way that is fair to all parties involved,” Carvalho is quoted as stating. While theoretically possible, this will require more cooperation between European states than is presently in place. But the group’s developed tool, a ‘proportional fairness algorithm’ does make sense. Not unlike the decentralized internet, the algorithm demonstrates that gas should flow through a path of least resistance and as bottlenecks begin to build and these metal arterial flows begin to clog the market will react coupling restricted throughput capacity with higher transaction (transportation) associated costs thereby diverting supply through lower priced and unconstrained capacity corridors. Discussed less is the fact that the bulk cost per unit of gas is driven by the supplier’s price versus competitive (and marginally smaller) transport price tacked onto every BTU of gas. As suggested earlier, European gas dependency is a mixed bag with some nations like Slovakia, and the Baltic nations of Latvia, Lithuania and Estonia nearly exclusively dependent on Russian natural gas deliveries while others, like the Netherlands or Norway, are far less susceptible to the whims and fancies of belligerent Russian politicians and policy makers. Overall natural gas makes up 24% of OECD-Europe’s energy mix. That doesn’t sound so bad but then again this depends where one sits. In the team’s most exciting hypothetical scenario they gamed a Russian gas supply cut off against resupply from net European gas producers the Netherlands and Norway. The impact of re-routing gas from North (Norway) to South and from West (Netherlands) to East demonstrated some interesting results. 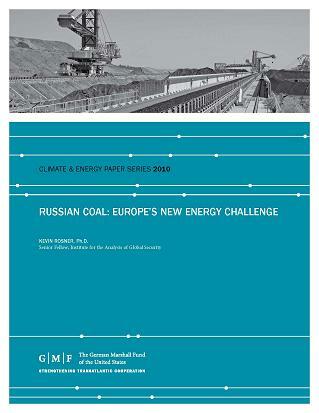 According to the author’s report, “Although we can hope to recover between 40% and 50% of the baseline throughput for the Czech Republic and Slovakia, we will only recover up to 5% of the Russian supply to Ukraine and up to 20% of the Austrian supply.” Despite these disquieting numbers, the exercise is a useful one because it allows for countries that partner territorially (shared borders) or through linked networks (pipelines) to imagine how much better off they would be in working together versus separately. Working together does not mean working through a centralized system which the sum of the parts are subject to a single point of failure but means a more decentralized system, using grid infrastructure as an example, that can service groups of states on a regional basis with a minimal level of gas resource supply as the longer-term overarching goal. Of course not all of this can be achieved by reshuffling the same cards but with a multi-vector approach (further diversifying countries of supply, supply routes, and flexibility in power generation through adding in renewables) much can be achieved. Another observation is that in principle, if all nations adhere to the European Energy Charter there should be no discrimination of pipeline access to third parties. In the EU this should work well, but some parties to the treaty, like the Russian Federation, never practiced the treaty’s intent. The exciting finding or observation of the research team’s work is that if such cooperative, strategically mitigating efforts are agreed to now in gas distribution through fair-shared access then the potential negative downstream effects of the next crisis for a gas-poor Europe should comparatively minimized. This is a net positive given the troubling news along Europe’s eastern border. The author would like to thank Dr. Rui Carvalho for providing the necessary documentation for this contribution. The full version of Cavalho and Co.’s research is available by clicking here. 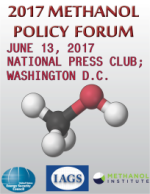 Kevin Rosner is a Senior Fellow with IAGS and is Editor of the Journal of Energy Security.